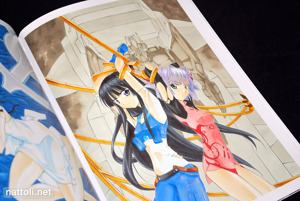 Tunasima Sirou Illustrations -ROAD- is a really impressive art book that's made even better if you didn't happen to also buy EXTEND Tunasima Sirou Illustrations. If you did, you'll probably be wanting to skip this review because nearly all of the content from EXTEND is in -ROAD-, and that will just make you feel bad. 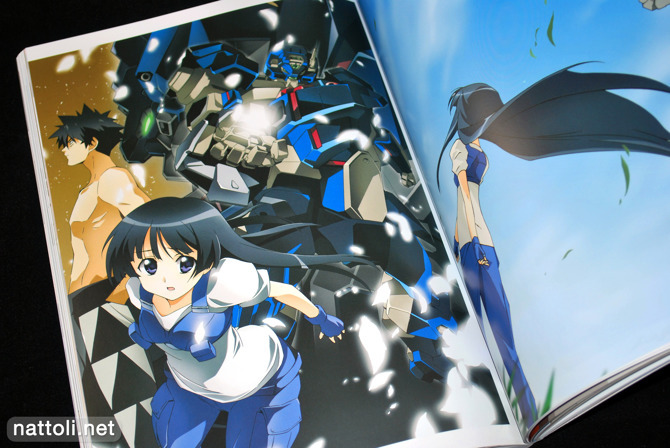 For a solo artist's collection, -ROAD- is a massive 194-pages, A4-sized, and full color. 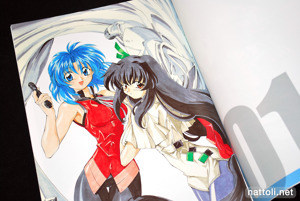 No doubt including the content from the previous art book helped boost the size considerably. 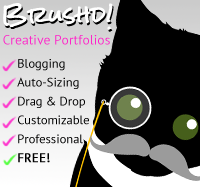 The majority of illustrations in the collection are featured on either a full page, or a two page spread. But there isn't much in the way of new art work for this collection; aside from the cover art and the double sided fold-out poster, everything else has been previously published. 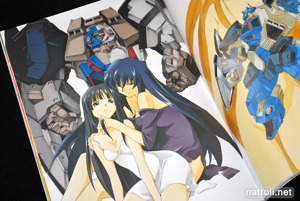 The poster, by the way, features the Jinki: Extend girls naked on one side and the girls from Orichalcum Reycal naked on the other. Tunasima Sirou Illustrations -ROAD- starts out with some really old school illustrations from both Life: Errors and JINKI (First Edition). This section makes up pages 6 through 37, showcasing a time when Tunasima Sirou colored with watercolor markers and didn't have his character designs quite as set in stone. The next section features Jinki: Extend with its spin-offs and retellings like Jinki Extend RELATION and JINKI (New Edition). These are featured on pages 38 through 105, and for the most part, it all just looks like Jinki: Extend. One of the things I've always liked about Tunasima Sirou's art work is that it's pretty much already anime styled, allowing for very colorful and clean art works. Another fairly substantial portion of -ROAD- is dedicated to Orichalcum Reycal, Tunasima Sirou's newest (non-Jinki) manga, which covers about 21 pages. Though I only know the basic plot to the story, I love the costume designs that look heavily influenced by his mecha design style. 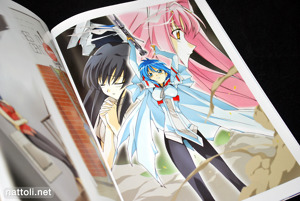 There's also 10 pages of art work from Embryo Machine RPG (エムブリオマシン RPG) followed by a few pages of art from Murasakiiro no Qualia (紫色のクオリア), a light novel that has been running in Dengeki Bunko Magazine. 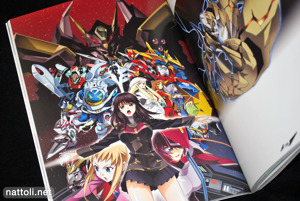 After that, there are a few one-of pieces like Gundam tribute illustrations, and an end card from Seikon no Qwaser and Kurogane no Linebarrels. Wow, that looks impressive. I can't imagine the amount of time that must have went into the coloring and inking, not to mention the layout and all that.